It is “absolutely outrageous” to dismiss people as racists if they fear mass immigration, the Archbishop of Canterbury has said. 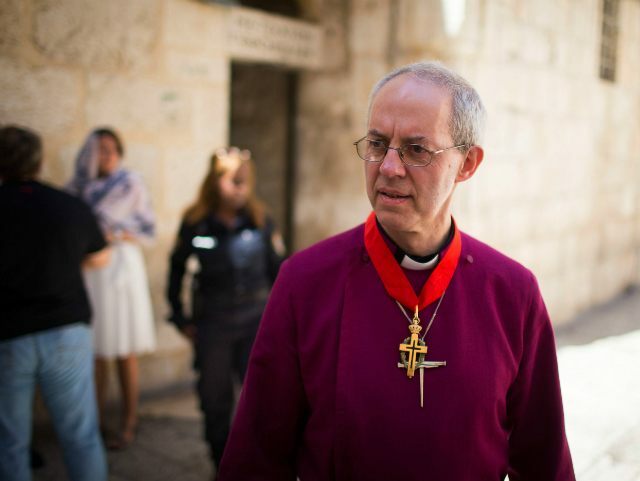 As Europe witnesses a record influx of migrants from the Middle East and North Africa, Justin Welby said the British people have a “genuine and justified” fear of mass immigration and effects it will have on public services. He added that there was a particularly big fear in “fragile communities”. The issue of immigration is also taking centre stage in the debate over the forthcoming referendum on Britain’s European Union (EU) membership, with ‘Out’ campaigners warning that the UK can never retake control of its borders while it remains in the bloc. “I don’t think there is one correct Christian view, one way or the other,” he added. Despite his comments on people’s fears of immigration, however, he still called for Britain to take more Syrian refugees than the 20,000 promised by the Prime Minister. “We have to play our part. I was in Germany last weekend doing some work with some churches there. The Germans took 1.1 million last year. And it does make 20,000 over several years sound very thin,” he said. “However, it will not fill the pews,” he added.